Thank you coach Maurice for all the work you have done with my daughter. Within a few months she was able to jump 4 levels (Select, BB, B, A). After being cut from select she began semi privates with you which elevated her agility, edge work, puck control, shot, but more importantly her passion and confidence skyrocketed due to your balanced approach as an instructor. She made the Atom A team because she was prepared!!! ML Hockey has improved my son’s all around hockey skill set. From gaining confidence on the ice as well as working at dry land skills. He has become more confident in his game. ML Hockey sessions have helped his defensemen skills as well as increasing his overall scoring. Thank you Coach Maurice for your hard work & mentorship this year. When we enrolled our son in ML hockey the most we hoped to get out of it was the learning of basic hockey skills for our son. Much to our surprise, our son’s hockey skills improved but his level of confidence grew as well as friendship with the ML hockey staff and utmost respect for Maurice. The ML team not only teaches the kids that come out to learn, but the camaraderie that develops amongst the kids and the instructors make learning the drills fun. We’ve attended many camps but we found that ML Hockey provided a team of caring staff who teach, assist and provide the necessary attention for the kids to be able to complete the hockey skills in a very positive environment. Any coach that’s willing to come out to a 7:00am game and provide positive encouragement and advice to our son before he goes on the ice for a game…. is just ‘Awesome’….Thank you ML team for all your time, effort and encouragement…. you may not realize it, but your efforts create a real positive outlook on these kids….Thank you. ML Hockey was recommended to us by a friend who’s son was enrolled in some sessions. Once our sons, ages 7 and 9, began the training, we noticed a big difference in their performance, both in skill and confidence. Maurice’s playfulness yet thoughtful constructive feedback have our boys feeling connected and motivated to improve themselves in the game. They always look forward to their sessions and are excited to participate in some summer camps this year. We are very grateful to Maurice and his team for all they do to make training challenging and fun! From beginners to pro’s Maurice and his staff are first rate instructors with a passion for developing each player to the next level. We would recommend him to all players that want to elevate and excel. “I have two boys 8 and 10, both currently playing rep hockey. 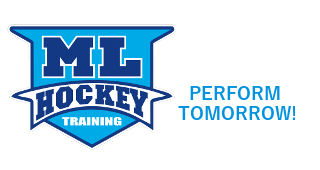 Both of my boys have attended several of ML Hockey’s training sessions in the past – both for the regular weekly skates, as well as holiday camps. In my opinion, Maurice runs a highly effective program that is at the same time both fun and engaging for the kids. Maurice makes every kid feel special. He does this, by really getting to know EVERY single kid. In addition to learning their name and greeting every player with a smile, he also takes a genuine interest who they play for, what position they are, how they are doing during the season; he will even come out to watch them play on his own time. During training sessions, Maurice’s hockey training is not just suited to older more skilled players, but is also excellent for younger kids that are just learning the game. He makes every kids feel comfortable and gives them the right kind of encouragement for their temperament. He will then cater the training and the breakout session groups to put kids together that are of the same character and skill level. There is no shortage of attention for each child; every ML Hockey session that I have attended had several other on-ice assistant trainers with high skill (i.e. Jr A players). As a parent it was extremely well organized and I was really pleased with the child to coach ratios. We will definitely be back. Very helpful, friendly and accommodating staff. I thought the camps have been fantastic. The coaches were awesome. My son especially loves the teens and Junior A players that help out – the kids respond well to that age group as well. Hockey Instructors are like teachers. The good ones have the ability to be creative, innovative, motivating, engaging and fun. Maurice and his ML Hockey team of instructors have the perfect blend of attributes that has made the game so much fun for my daughter while simultaneously improving her skills, confidence and most importantly her passion for the game of hockey. Maurice has a deep passion and love for the game, that really inspires the kids at his camps. My son started with Maurice as a TYKE and he will continue indefinitely with ML Hockey, regardless of what level REP hockey he plays at. Maurice has consistently shown an uncanny ability to reach my son and help him tap skills he does not yet realize he has. There is no shortage of camps and training for a parent to throw money at. But my acid test in committing funds to Maurice’s programs is that I often find Maurice in the stands at my sons games watching his progress; or I find him discussing points with my son after the game. I never expected that level of commitment from Maurice, but it nonetheless is greatly appreciated.